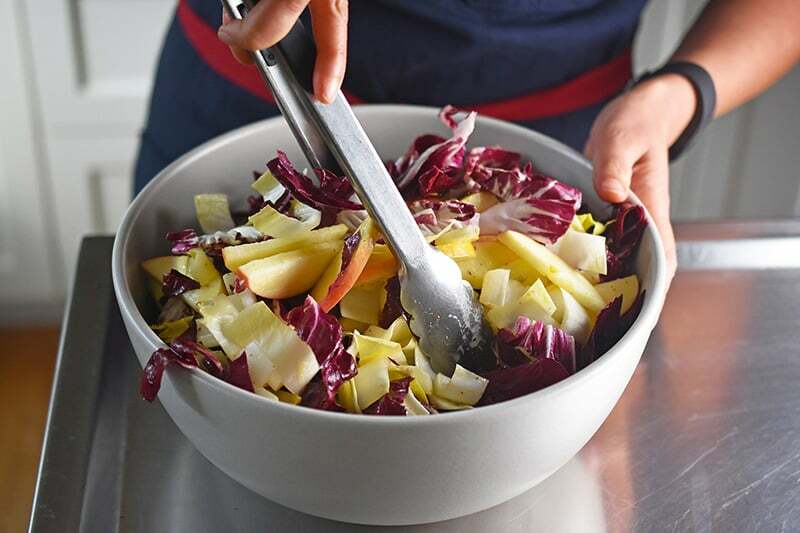 Find yourself craving salad in the dead of winter? Well, you’re in luck, ’cause my friends at Whole Foods Market asked me to share one of my faves. 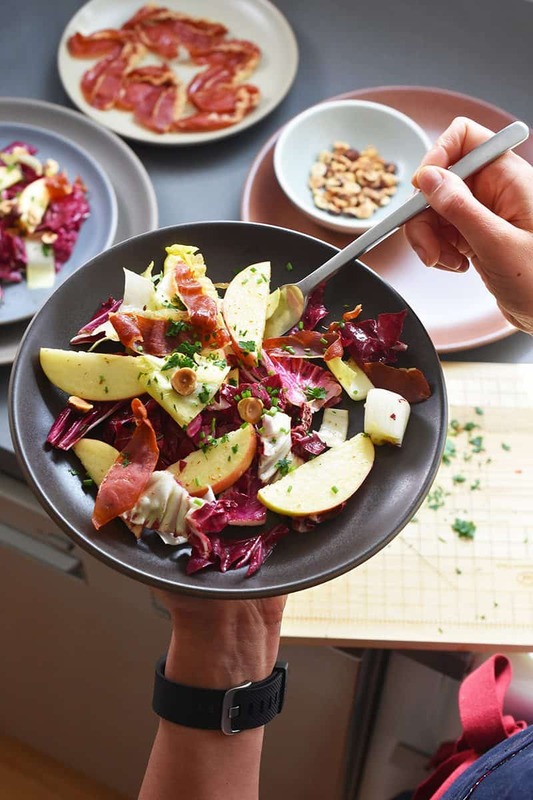 This salad’s packed with sweet apples, bitter greens, crunchy nuts, and even Porkitos. Plus, if you’ve been looking for the perfect side dish for my Cracklin’ Chicken, this is it! First things first: Back away from the sallow, mealy tomatoes at the supermarket. Those tomatoes are anemic for a reason: THEY’RE NOT IN SEASON. 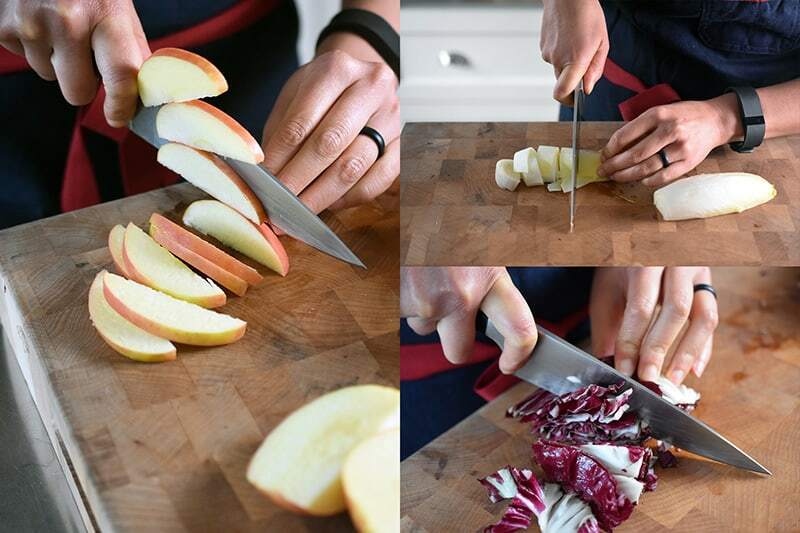 Instead, pick up produce that’s at its peak deliciousness in the winter. Second: Don’t buy into the myth that Paleo’s just about gorging on meat. You gotta get your micronutrients and fiber somewhere, so eat your veggies like your mama told you! 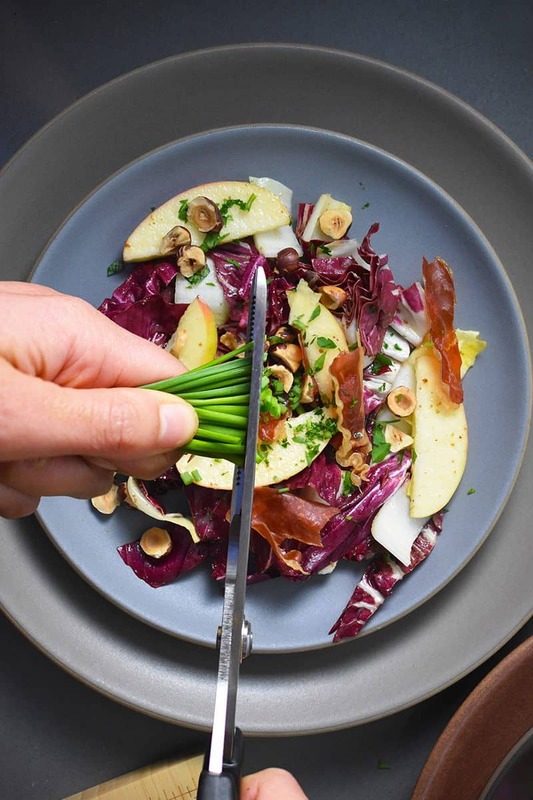 The best part of this salad is the crunchy topping of Porkitos and toasted hazelnuts! Make ’em first. 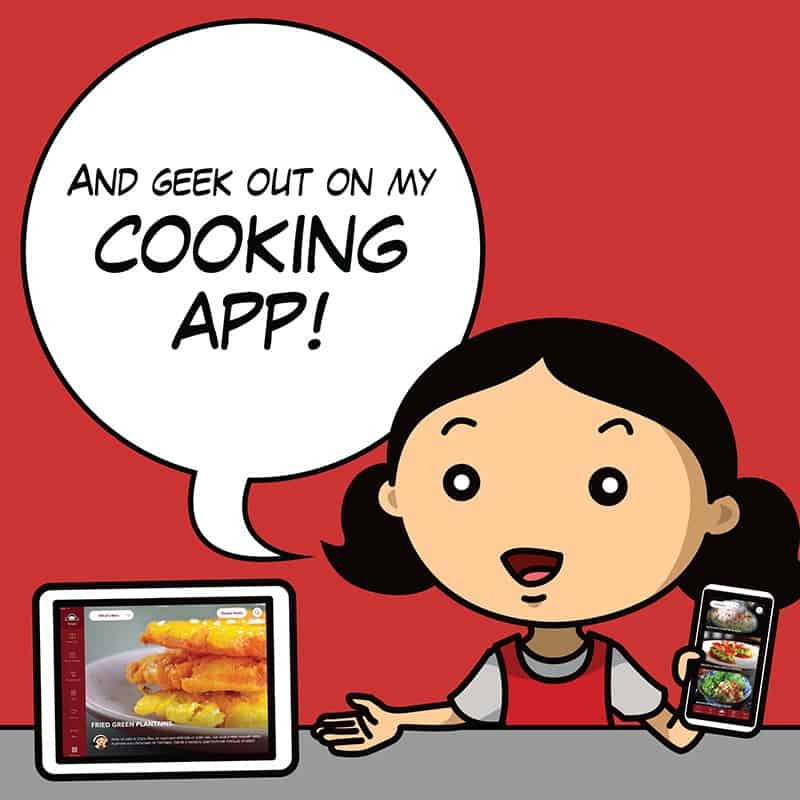 Check out my recipe for Porkitos here. 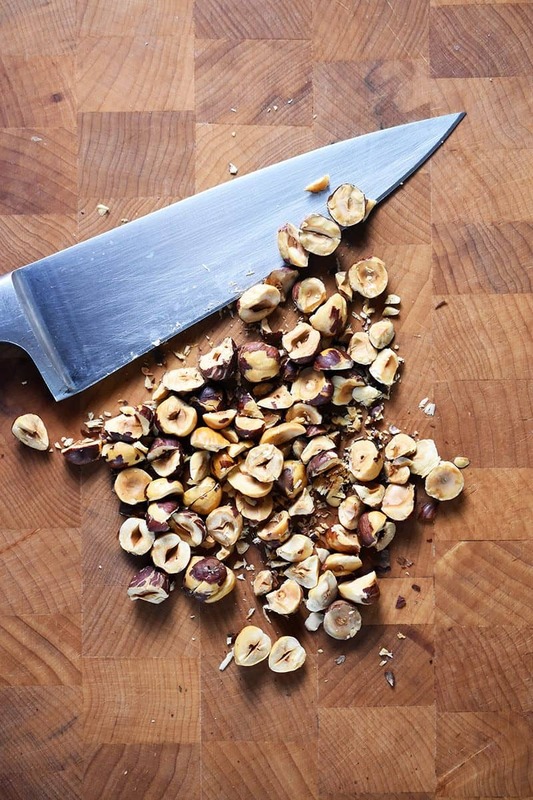 Then, roughly chop the hazelnuts and set aside. 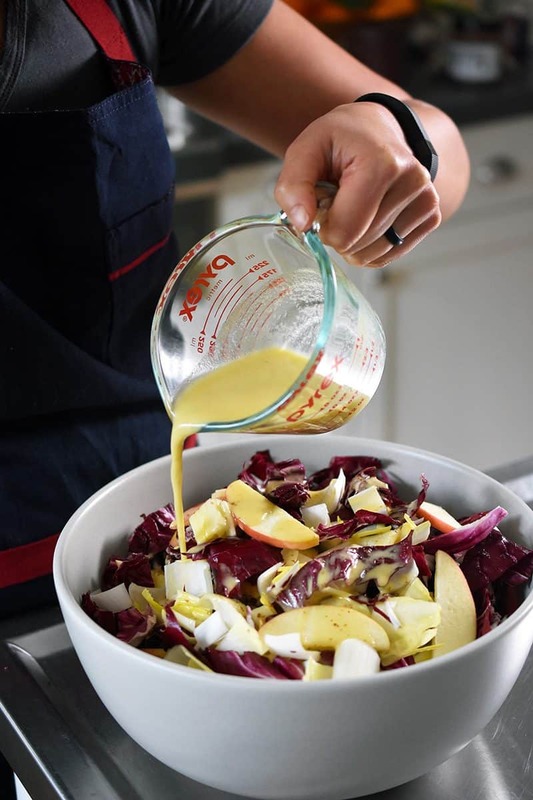 Make the dressing by whisking together the olive oil, apple juice, apple cider vinegar, mustard, and fish sauce in a small bowl. 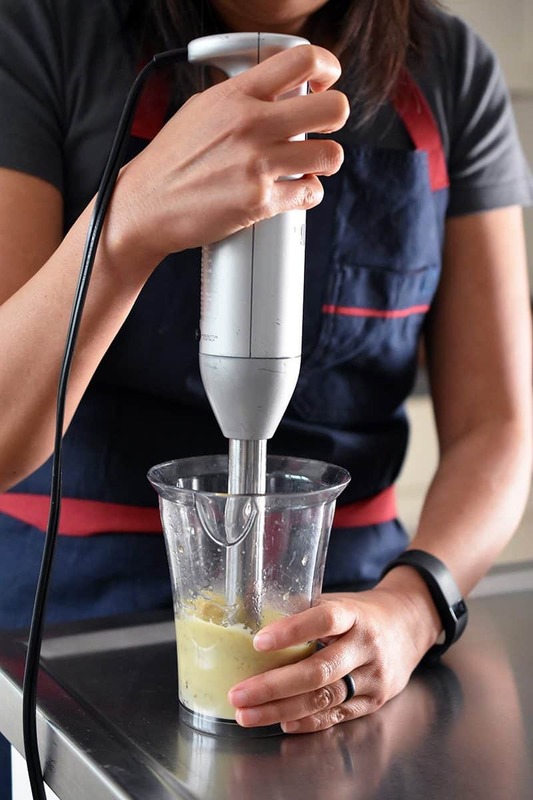 Alternatively, you can use an immersion blender to blitz all the liquid ingredients together in a flash. To be honest, you might not use all the dressing, but I always like to err on the side of making extra in case my bitter greens have more bite than usual. Besides, it’s always good to have extra dressing in the fridge. …and toss with ¾ of the dressing. If needed, add more dressing to taste. 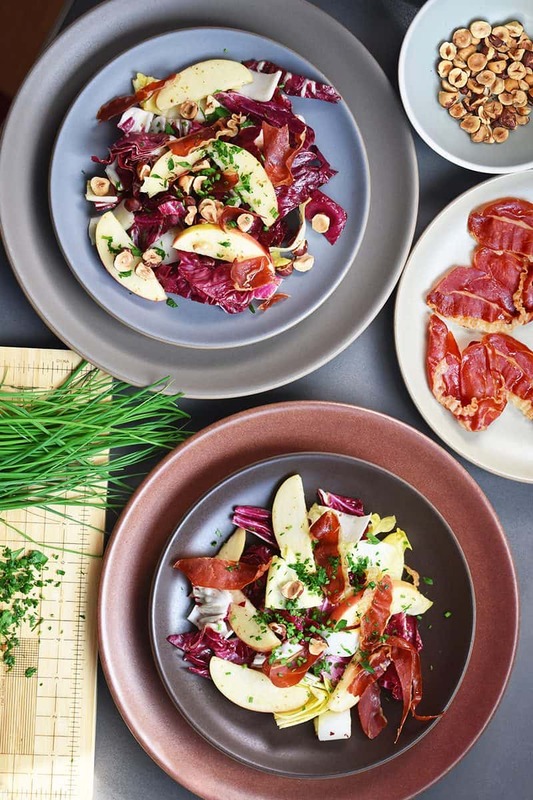 Divide the dressed greens onto four platters and crown each salad with Porkitos, toasted hazelnuts, and a sprinkle of fresh herbs. This Whole30 salad’s packed with sweet apples, bitter greens, crunchy nuts, and even Porkitos. 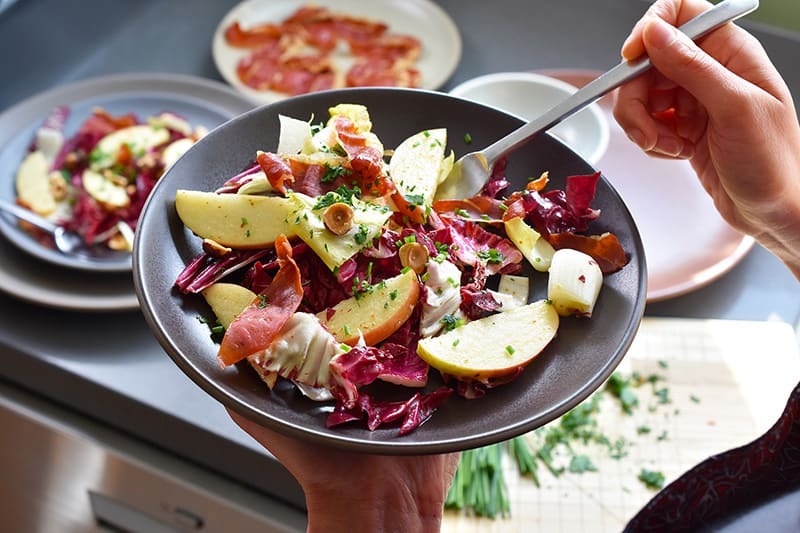 It's the perfect winter salad! Forgot to stock up on toasted hazelnuts? 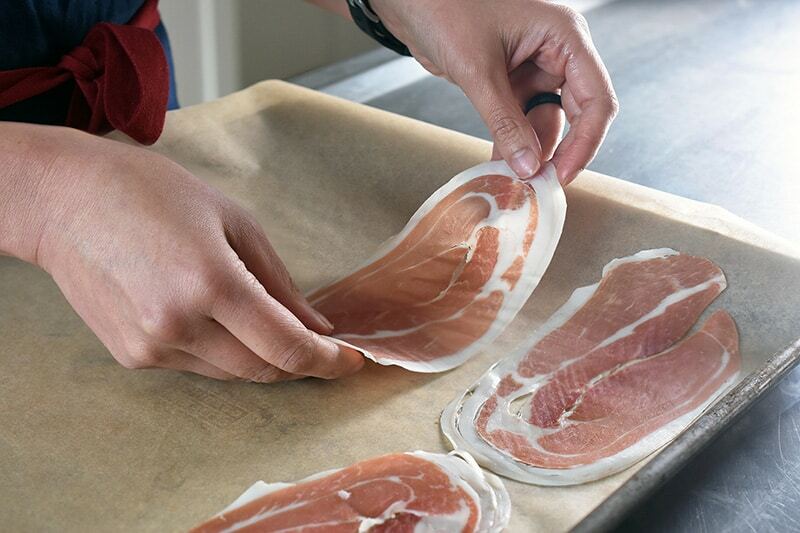 No prob—just toast ’em yourself. 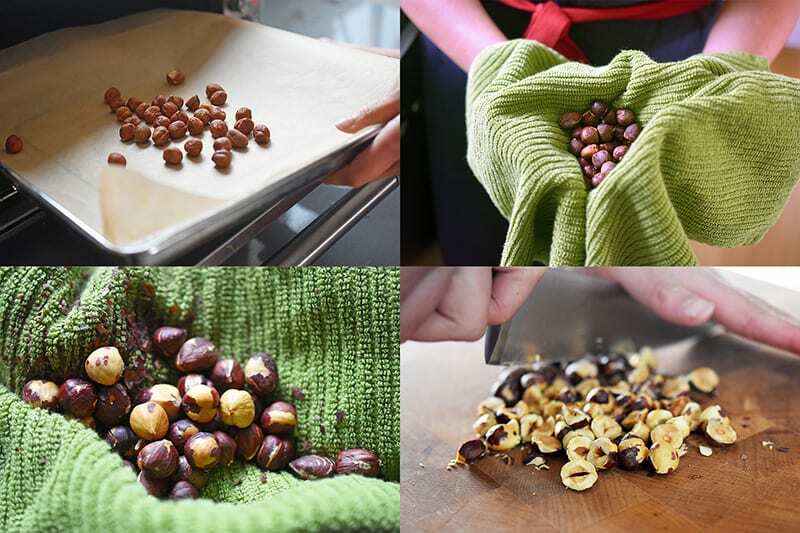 Place the raw hazelnuts in a single layer on a parchment lined baking sheet. Bake the nuts at 350°F for 10-15 minutes or until the skins are crackly and you can smell the nuttiness. You can remove most of the papery skin by rubbing the hot nuts in a clean towel. Then, roughly chop the hazelnuts and set aside. 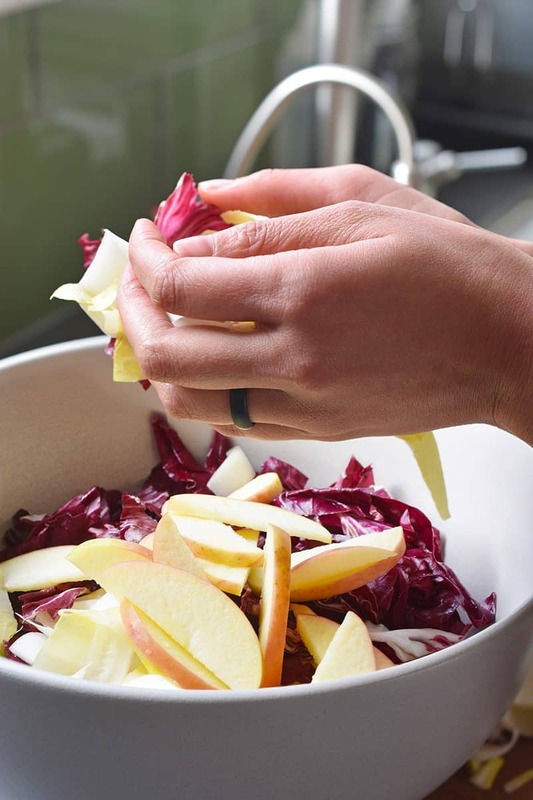 Combine the chopped radicchio, endive, and apples in a large bowl and toss with ¾ of the dressing. If needed, add more dressing to taste. 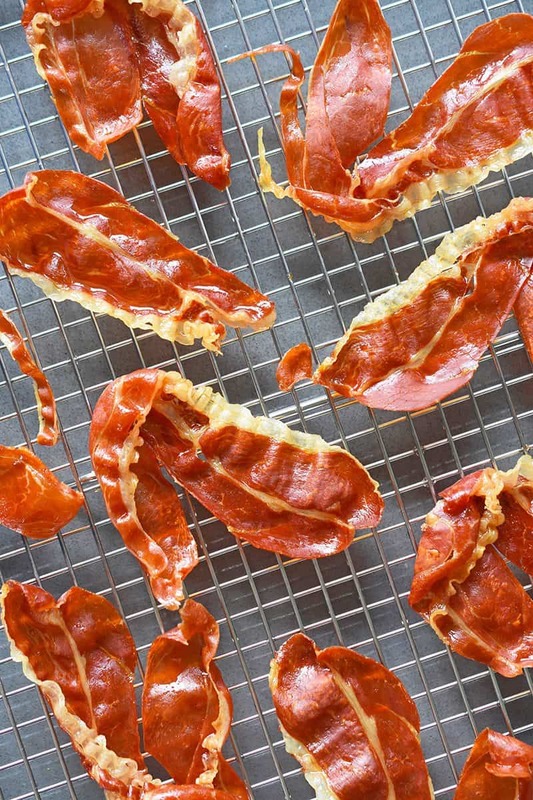 Previous Post: « Podcast Episode 17: VietNomNomPaleo!